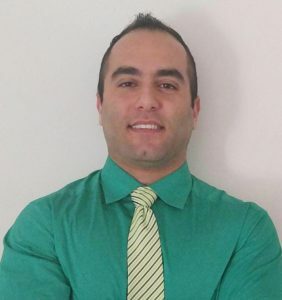 Dr. Wael Zeitouni (Dr. Z) grew up in Charlotte, NC and is currently a proud resident of the Locust, NC community. He graduated from South Mecklenburg high-school. He then attended the University of North Carolina at Chapel Hill, and graduated in 2009 with a bachelor’s degree in biology. He continued his dental education at New York University College of Dentistry where he acquired his Doctorate of dental surgery. He returned to his home state for a General Practice Residency at Carolina’s Medical Center. Soon after, Dr. Z worked in Charlotte as an associate for a few years. He acquired his Fellowship in the International Congress of Oral Implantology (FICOI), and Dr. Z is very passionate about keeping his team and himself up to date on advanced dental technology and continuing education. Dr. Z enjoys treating the whole family in a comforting, safe, and friendly environment. He is both the owner, and the provider at Locust Family Dentistry. Dr. Z has volunteered in many community dental outreach projects, including the North Carolina Missions of Mercy program providing dental care to people in need around the state. Dr. Z is also a proud member of the Rotary Club of West Stanly. Dr. Z enjoys keeping up with the most innovative technologies in dentistry, playing sports, traveling, reading, and spending quality time with family and friends. He resides in Locust, and provides the highest personalized quality dental care for his patients!